Welcome to my list of wedding suppliers who I have had personal experience and trust to make your big day unforgettable. The ever-growing list has over 20 amazing suppliers from hair and makeup to magicians and bagpipers! As a South Wales wedding photographer, I see a massive amount of suppliers that can assist you in your big day and finding a great one sometimes takes a lot of time and effort. Hopefully, this list will go some way in taking away the stress of finding the perfect wedding supplier in South Wales. If you're not sure on the look or what style to go with always contact the hair and makeup specialist to discuss. Trials are a great idea too, try a few different specialists to see which you prefer. 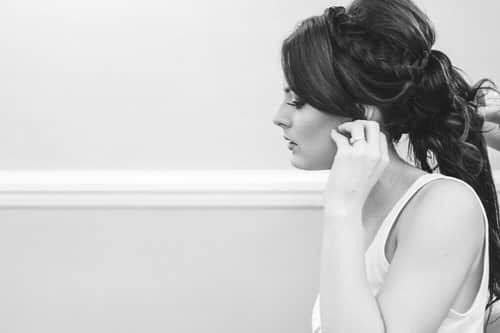 Kirsty is a professional makeup artist based in South Wales with over ten years of experience in Bridal, editorial and beauty makeup. She's also done everything from running a photography studio to working backstage at London Fashion Week to bridal editorial shoots. Having worked with Kirsty at more weddings than any other makeup artists, I can wholeheartedly recommend her. I've fortunate to work with Amelia on a professional level not only at weddings but as part of my commercial photography work with High Street Media where she is graphic design. Graphic design aside, he hair design service is fantastic which I've been fortunate enough to have witnessed many times at weddings throughout South Wales. From the moment you make contact, to the finished hairstyle, Ameilia is incredibly passionate while making every client feel as fabulous as their hairstyles at their wedding. Food and drink are fast becoming one of the most talked about elements of the wedding. Strawberry Shortcake is a bespoke catering service providing a high-end solution to your wedding day food. They are a family run company headed by chef Scott Davis and based in Carmarthenshire. Their food is incredible, don't take my word for it, check out their website and see some of their images. Also check out their Instagram too for some fantastic dishes. The perfect companion to your wedding photos. These filmmakers go above and beyond to capture another insight into your wedding day. Alan and Gareth from Gemini Wedding Films work together across South Wales creating high-quality documentary style wedding films capturing the emotion that will last for years. I have worked with Alan and Gareth many times, and they have also captured my wedding, what better endorsement can I give? Rob is enthusiastic about making beautiful, emotive movies, catching the moments that you might not have time to see on your day. With more than six years experience in photography and videography, Rob has an eye for details which transfers into the final production. Although Rob lives near Bristol, he isn't shy to cross the bridge and cover weddings in Cardiff and South Wales. Multiple awards, always rated as one of the best videographers in Wales, if not in the UK and you can see why from their highlight videos on their website. Aurora is a group of South Wales based wedding videographers, committed to creating high calibre and motivating wedding films, with impressive visuals and captivating stories. With over 12 years experience in filming weddings, we understand how fast the day will pass. Having your wedding professionally filmed truly is an investment. When all that is left over is the dress and your memories, you will really appreciate having your wedding day beautifully captured to allow these memories to be relived. Transform any venue into your perfect vision of the biggest day of your life. As a wedding photographer Cardiff venues have some fantastic suppliers working for them that I see a lot, here is just a handful that I have worked with closely in the last few years. Panache is run by Karen Thomson who has extensive involvement in the wedding and hospitality arenas. Karen offers a committed, individual bespoke service to brides, their families and corporate organisations hoping to create something unique. Having a showroom allows her to create your perfect wedding to any taste, budget or requirements. Emma Hall Designs pride themselves on their unique, high-quality items that you won't find on the high street. They are continually expanding the range so if you would like something unique to get in contact. Roots specialise in floral design for weddings but also cover a wide range of occasions from birthdays to funerals, anniversaries and much more. Seeing so many venues in and around Cardiff with so many florists and Roots is one of the best. You can see some of the weddings that Roots have been involved in on my blog. Clare and her team are starting to become regulars at weddings I’m photographing and for a very good reason. Their professionalism along with their incredible style and taste make them a very attractive option to brides and grooms planing their wedding. I recently shot a styled shoot at Hensol Castle with Be Out Guest which will be on the blog very soon! Needing no introduction, one of the most important elements of the day! They offer an excellent selection of wedding dresses with more than 80 styles hand-picked from some of the best designers around the world. Based just North of Cardiff in Talbot Green, just off junction 34 of the M4, they're easily accessible from anywhere in South Wales. One of, if not, the largest company in South Wales for wedding suits and formal hire. A multi Award winning company with incredible customer service. With six stores in South Wales and Bristol, there's no shortage of choice and suits in stock. I even chose them for my wedding suits! Established in 2011 and based in Cardiff with their two shops, Laura May Bridal have won multiple awards for their services to the wedding industry in South Wales. I've photographed so many of their white and purple dress bags in my time as a wedding photographer, so they must be doing something right! Slaters has over 25 stores nationwide including the Worlds Largest Menswear Store in Glasgow, each with its army of tailors and seamstresses offering free alterations to their clients. If you have a style in mind for your wedding, they have probably got it! Entertainment guaranteed to get the party started or to keep the guests entertained between the ceremony and the wedding breakfast. Hailing from South Wales valleys, this unique three-piece band boasts a line-up of experienced performers who've played at the most elevated amount. AUDIOJAXX play something for everybody. They understand what individuals need to hear at a wedding or party. Their active set consists of contemporary and pop, soul and Motown and of course some indie tunes. An expert in the art of sleight of hand magic, and a psychological illusionist. James will leave you speechless with his unique style of entertainment. As one of the premier wedding bands from South Wales and the West, Brother Ray knows how to kick your gathering off. Brother Ray is an Award Winning Wedding and gathering band who bring the Funk, Soul and Disco to the Party! Sibling Ray was recently voted Best Wedding Entertainment for Cardiff and the Vale at the National Welsh Wedding Awards! Professional Magician, a performer at various venues & events throughout South Wales. Check out his social media accounts and watch his fantastic magic but also his incredible weight loss journey, so inspiring! 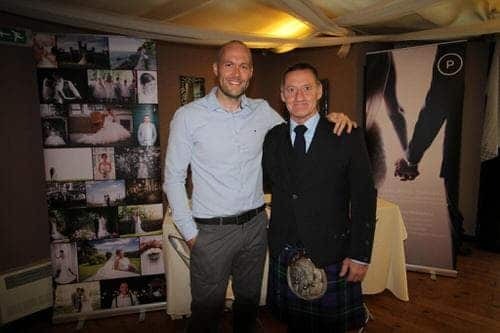 I've seen John add this incredible sound to many an occasion, with the blend of the traditional highland dress combined with a wide range and varied bagpipe tunes to suit all events. Creativity almost as limitless as the flavours of wedding cake they offer. Being a wedding photographer I've had the pleasure to eat, I mean photograph, a lot of weddings cakes, and Ponty Carlo's are some of the best on that list! Lisa's attention to detail is incredible, and the number of different flavours available is incredible! Some of the examples can be found on her website or on my blog. All the other small details to complete your big day. Finishing touches can make a massive difference to your wedding and the look you are trying to create; be it fun multi-coloured lighting, romantic bay trees or impressive twinkling love letters, they have it all!